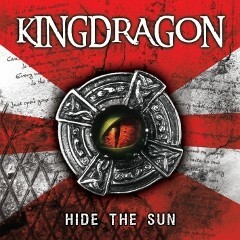 Greek melodic rock band KINGDRAGON will release their first album "Hide The Sun" through Retrospect Records on October 10th. The band was formed in 2006 by vocalist and keyboardist George Aspiotis (SPITFIRE, ex-NIGHTFALL, RAW SILK), and after a long period of service in the Greek Hard & Heavy Rock scene he decides to create a "new strong melodic sound", stemming from a mixture of his musical experiences/influences from 3 powerful melody decades, the 70’s, 80’s and 90’s. 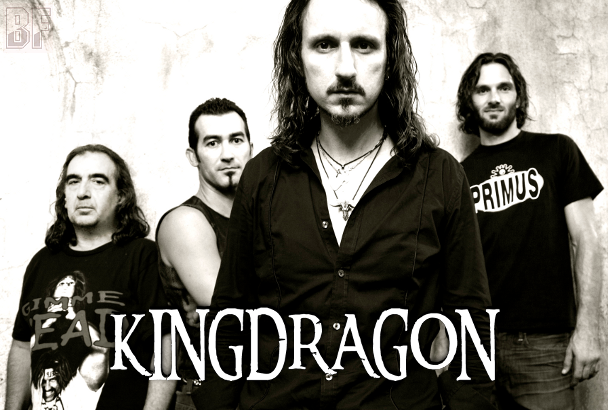 KINGDRAGON's live debut was a supporting the distinguished GOTTHARD in November 2006. They performed all their unreleased material plus a well-known Journey cover "Separate Ways" in front of an audience unfamiliar with the band. KINGDRAGON received excellent reports on that gig from Greek Magazines, as well as Webzines and the radio. In October 2008 KINGDRAGON released the acclaimed 4 track EP "Fire In The Sky" on self-release. Following the release the band supported FIREHOUSE (2008) and HOUSE OF LORDS (2009). In July 2013 KINGDRAGON signed with Retrospect Records (USA) for thier new release worldwide. The album "Hide The Sun" was recorded and mixed, in digital and analog version (for vinyl). KINGDRAGON will support as a special guest on REDRUM Victims Of Our Circumstances Tour in Greece in October 2013.